Grand Theft Auto VI : There aren’t many video games out there today that can command the level of hype like the GTA series can. Ever since their first game released, they have dominated the gaming industry and constantly smashed new record sales whenever their games come out. Very few game franchises can claim to have even half of the success that the GTA series has had. Their last game GTA V released to critical and commercial acclaim and instantly set record sales. GTA V has officially made more money that the movie has made in the entire world and that is no small feat, considering the huge gap in audience size between both of them. While gaming has come a long way to being accepted as a viable and serious activity, it cannot hold a candle to the sheer number of people who go out to watch movies. Yet GTA V made a staggering $6 billion in sales by selling over 90 million units. Though the game was released in 2013, the game is still active with hundreds of thousands of players playing every day. In fact, if you go to steamcharts right now, you will probably see a staggering user count of users playing right now. Therefore it is no surprise that millions of fans all over the world would start frothing in their mouth after hearing that the GTA VI is on its way. In many ways, Rockstar Games is more secretive about their upcoming projects than most companies. It’s extremely rare to find a real leak about their games. 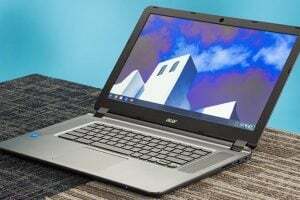 But, because we are huge fans, we have scrounged the internet in search of all the rumors, leaks and news about the highly anticipated sequel so that you have a one way stop to update yourself with the latest information. Given below is everything we know about GTA VI! As it has always been, Twitter and Reddit are some of the most common sources for GTA 6 release date rumors. The last game in the series GTA 5 got launched in 2013 on the ageing PS3 and Xbox 360 consoles. 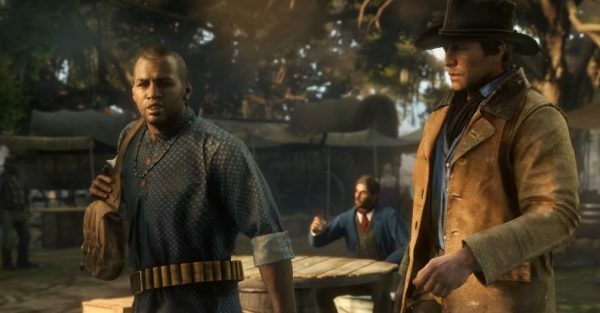 It sounded like an impossible feat, but Rockstar made it possible and released the game on age-old consoles before bringing it to PS4 and Xbox One. They took two more years before it finally landed on PC. GTA 6 first teaser trailers and more official information is expected to be revealed at E3 2020. The year 2020 is going to be one of the hottest in gaming history because it is also expected to be the time when both Sony and Microsoft will make their next generation consoles official. PS6 and a new Xbox will be the viable platforms for GTA 6 to get launched when it is officially ready by 2021. 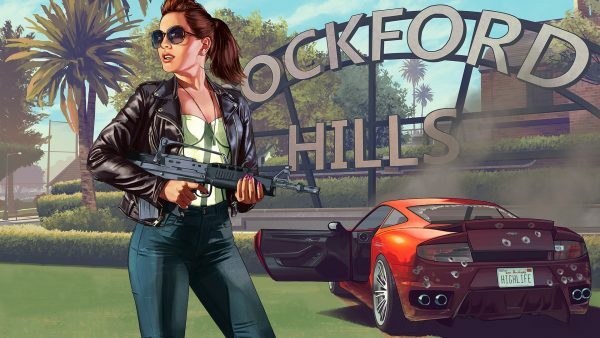 A nearly confirmed rumor is that GTA 6 will have a female lead. Throughout the series, it never focused on having a woman joining a gangster squad and shooting the hell out of everyone who tries to stop her from doing missions. Besides, the game often catered to the testosterone-filled men who love running over hookers in their car, banging girls using the hot coffee mod, but a female lead would bring in a whole new game. The girl will most probably have to be part of the gang, earn money and have her own storyline, but it may also lead to lots of different kinds of missions because of the gender change. 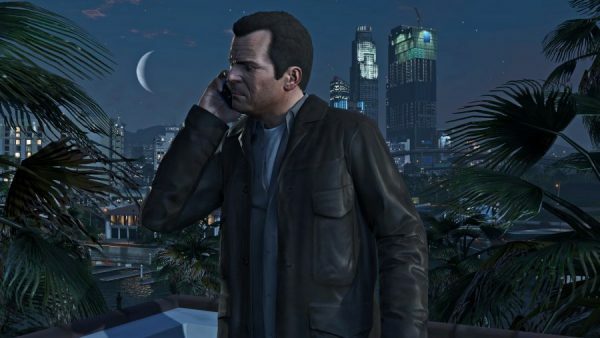 There will be more people as part of the storyline, including other men, as it was with GTA 5 that followed the lives of three different male leads. Going by the recent announcements made by Google and Microsoft, GTA 6 is one of the many AAA titles that will benefit multi-platform gameplay through streaming. While Rockstar is not going to make official announcements on it immediately, the bigger companies are the ones who get to decide how gaming can evolve in the coming years. 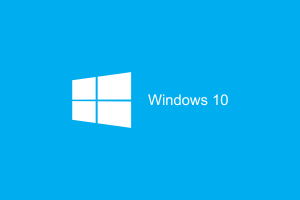 By the time the game gets released, even if it doesn’t get released on PC immediately, players will still be able to enjoy the game by streaming it from their Xbox console or Google cloud streaming. 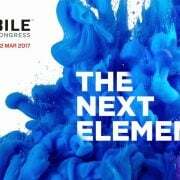 It will be a completely new experience because you will be able to experience the best graphics even on a smartphone with a Bluetooth controller, to the game on the go. If there is one thing the world of Grand Theft Auto never explored, it would be the option to actually play as a cop and take down the criminal. 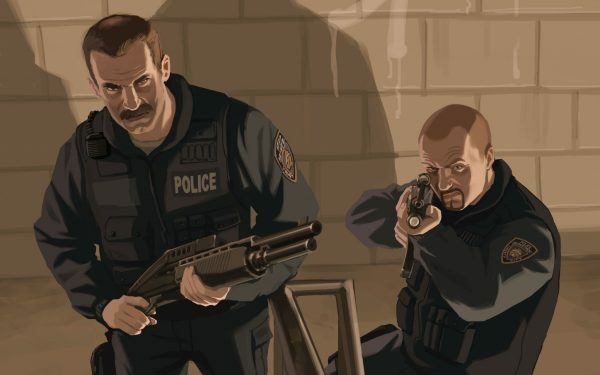 While it is confirmed that the story arc will have at least three different characters similar to GTA V, it wouldn’t be surprising if one of them is a cop. Viewing the crime-ridden world from a cop’s perspective would be completely different. 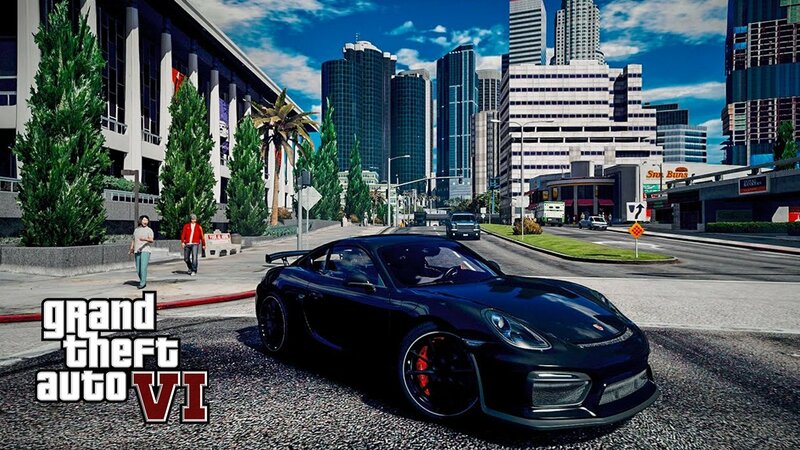 Besides, when you play as one, you may also have to take down criminals and go behind fast cars or heist chases. The storyline will be pretty interesting because if these characters are friends or enemies, they will probably be on two different sides of the law and have to confront each other, repeatedly, throughout the course of the storyline. In the land of Brazil, the drug trade is rampant and it is one of the unique maps that players might be able to experience GTA VI in. There are many women who head the house in this region and some of them get involved in the drug trade which also paves way for the game developers to come up with storylines that involve female leads. Rockstar would definitely want to live up to the hype because GTA 5 was released way back in 2013 and in the massive gap between that game to the next would have brought in a lot of young gamers into the territory. Those who have never played the GTA franchise might be trying it for the first time and when they do so, the developers are supposed to cope with the hype it has created over the past two decades. While the single-player campaign will once again be the most prominent focus on GTA VI, the game will have a huge focus on multiplayer. The developers can now allow dozens of players onboard, playing the game from mobile phones through streaming and when they do so, it could create a massive underworld with lots of different characters. Ever since the World of Warcraft days, such an interactive and seamless multiplayer experience with massive maps or player count wasn’t witnessed, but GTA 6 has all the potential to become the first game. 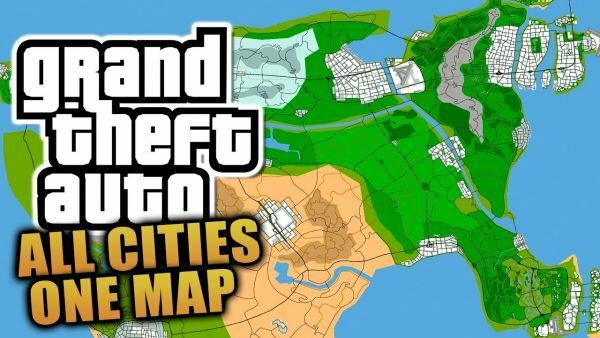 Considering how huge of a map the game developers at Rockstar would create, it wouldn’t hurt to speculate that they will have enough space for players to get onboard on their 5G phones and do lots of tasks together, like a more improved and polished version of GTA Online, which had a good run for more than 5 years now. 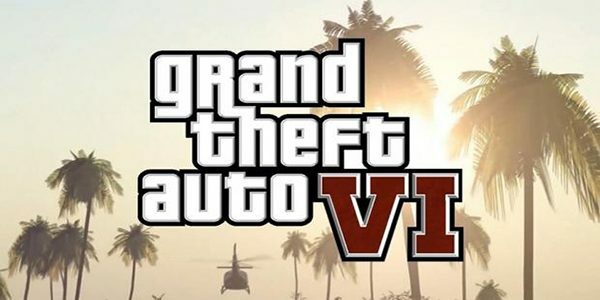 It all began one fateful day in 2013 when Rockstar President, Leslie Benzies made a comment in an interview for MCV magazine, saying that they have some ideas about GTA VI. This single comment broke the internet and started the hype train leading us all the way to this article today. One of the first reports came online, stating that GTA VI was in production, but the article wasn’t able to substantiate anything and instead mentioned that they got this information from a trusted source. Rockstar games, unfortunately, didn’t comment on this and so the report was marked as a rumor. 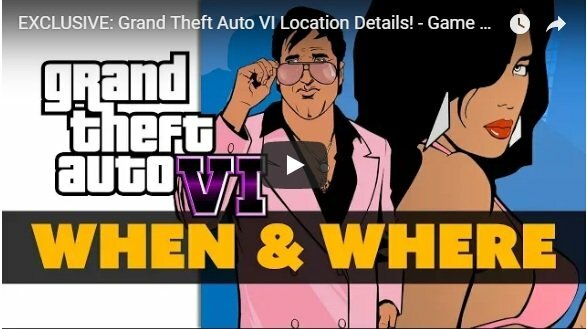 The popular YouTube channel “The Know” put up a video regarding the possibility of GTA VI taking place in Vice City and one of the main Protagonists being a woman. 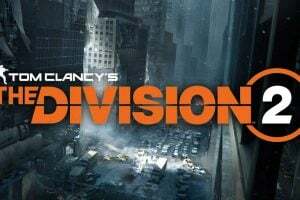 According to them, an inside source divulged information regarding the possible release date, code name and the game map. The video spoke about how the game might hit stores by 2021 or 2022 and that it is being developed under the code name, “Project Americas”. They also mentioned that there is a possibility that players will be able to fly from the United States to South America in game, making it the largest map to ever have been made in the franchise so far. They also mentioned that the game could take us back to Vice City and the overall story might be focused on drug trade with an 80’s vibe. None of these tidbits has been officially confirmed but the hype has officially begun! Tears rolled down several cheeks this month when a rumor started going around that a message regarding the reveal of GTA VI has started popping up in GTA Online (PC). 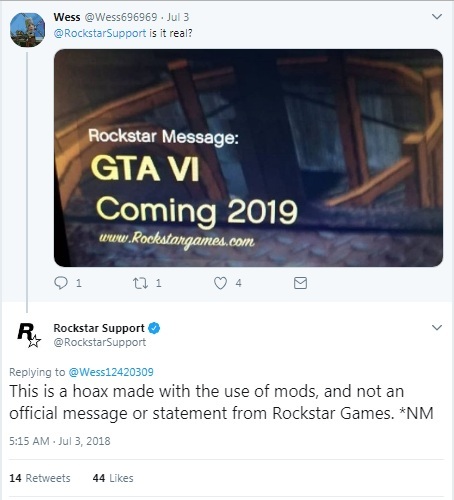 The first tears that rolled were that of happiness and excitement, but all that changed to sheer sadness and disappointment when Rockstar made an official statement on Twitter debunking this claim. In their statement, they said that this alleged message was nothing but a hoax made by a Modder. As of now, there is no official information about GTA VI and so all of us have to find and put the small scraps of possibilities to get the bigger picture. By taking the various rumors and speculations, we have created a list of what might be coming with the game. Here are all of them. 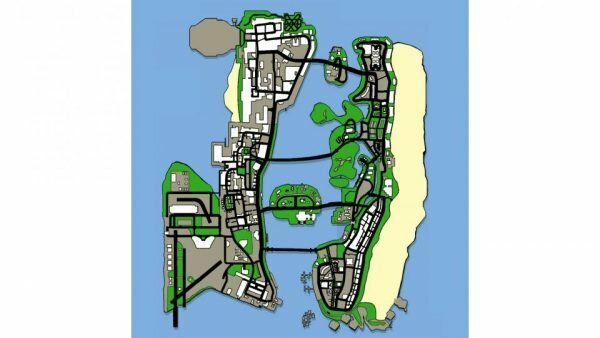 Till now, Rockstar games have always had distinct timelines for their game world. Grand theft Auto gave us Liberty City of the late ’90s, Grand Theft Auto 2 took place in an unspecified time (speculated to be early 2000’s) in “Anywhere, USA, Grand Theft Auto 3 featured Liberty City layered with what looked like the 90’s mafia world, GTA: Vice City took place in the ’80s, GTA: San Andreas in the early ’90s, GTA IV in the late 2000s and GTA V in the current time. However, when you look at the themes and stylistic atmosphere that they usually opt for, it’s hard not to notice their love for everything retro. All of their games have a certain charm that reminds us of the ’80s and early ’90s. Since their last game took place in the current time, there is a real good possibility that GTA VI might be based in the glorious ’80s. Either that or they might keep a current timeline and introduce their story in a different country altogether. Till now, they have built an entire American world filled with cities and its own history. They might take us to Europe in the next one. As for the map, it’s easy to assume that we will be getting a map that is significantly larger than anything we have ever seen. So far, the maps have been limited to a single city and the regions near about. Perhaps the new map will be large enough to fit 2, 3 states. 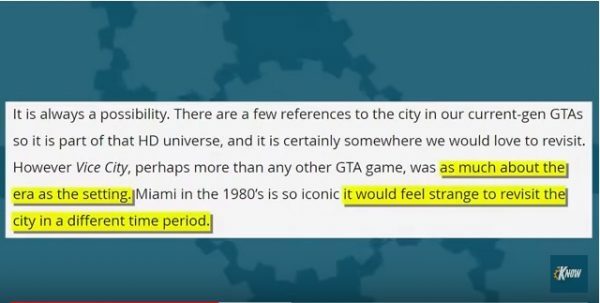 If we are assuming that the timeline would be the 80’s for the new game, then it’s very likely that the city we will be seeing is Vice City. 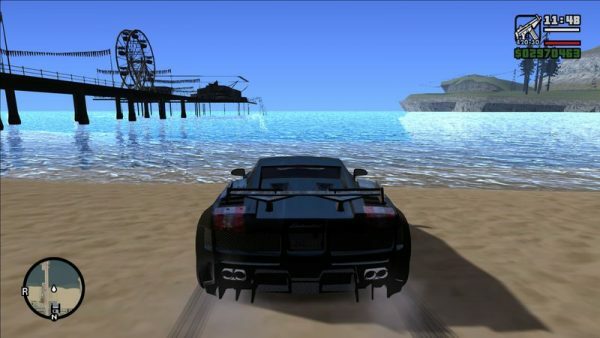 The first three GTA games featured Liberty City, Vice City and San Andreas while the last two games used Liberty City and San Andreas. With GTA VI featuring Vice City, they will have come full circle. Moreover, Vice City would be perfect for what we assume the theme will be. There’s not going to be any doubt that GTA VI will also have the same criminal/mafia roots in their theme. After all it’s in their name. But how do you rehash the same theme and make it interesting? 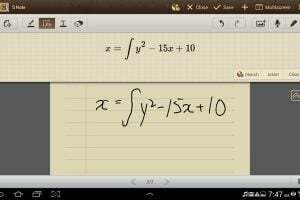 You can do that by exploring various different aspects of the same theme. Vice City was more about the traditional mafia, San Andreas was about growing up in the streets where gangsters ruled and GTA IV showed us the ruthless new age mafia. Perhaps the path of the future is going back in time. The ’80s were ripe with drug wars and a new breed of mafia spreading over the U.S. Instead of the traditional Italian American mafia, what if we explore the South American cartels as they are somewhat unchartered territory for the GTA franchise. This would also give them the opportunity to create a larger map, a living breathing expansive world and different cultures to play with. Given Rockstar’s ambitions, it’s not that hard to conceive that GTA VI will feature a world unlike any we have seen so far. Although “The Know” pointed to this in their video, there are more reasons why GTA VI might feature a female protagonist along with the male ones. Till now, the game franchise has always featured men as their main characters and females have always been either minor side characters or hookers. In an interview by The Guardian, Dan Houser who co-founded Rockstar games spoke about how they won’t be making a female main character just because of the status quo and that they are very open about doing so when they have the right idea to do it. This is very refreshing to hear as most companies just pander to their audiences and make uninspired content. Another reason why they could have a female protagonist is based on the speculation that the map might feature South America and the drug trade. In South America, there are several places that follow the matriarchy where the woman is the head of the household. Having a grey but strong female character as a drug lord or someone climbing up the power ranks would be very cool. With GTA V we were given the ability to play multiple main characters and their story arcs. For GTA VI they would need something better to meet their fan’s expectations. One way they could do this is by giving the players the opportunity to play either as a criminal or as a cop. Choosing between two stark perspectives and the places where they overlap would be extremely cool and unlike anything we have experienced in previous games. There isn’t any rumor or leak that points to this but it might be something that Rockstar games decide to try. In the above section, we discussed what we think would come in GTA VI based on the rumors floating around on the internet. Let’s now look at what actually might be possible in the sequel. 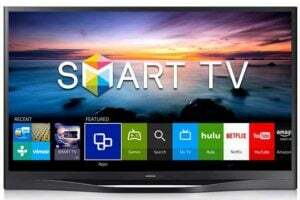 Every game company uses their games to refine and innovate new ways of enhancing the player experience. A feature released in one game will be further refined and made better for the next game and so on. The last game released by Rockstar games was Red Dead Redemption 2 and if we sift through the various innovative features and mechanics present in it, we can predict what we might see in GTA VI. 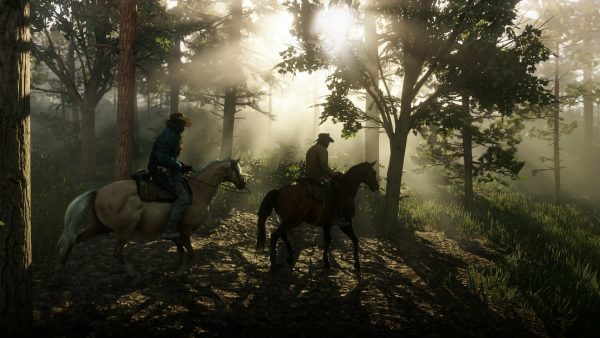 RDR 2 featured an expansive world where character interaction and behavior was taken to a whole new level. 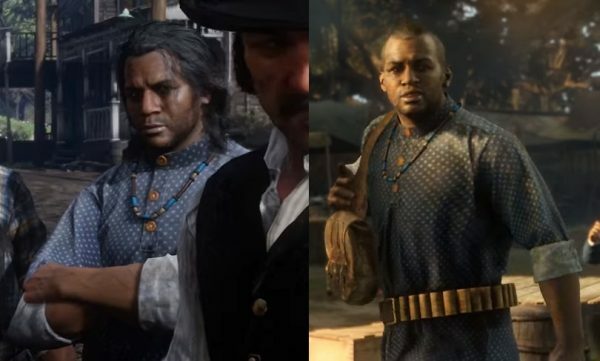 The AI characters in RDR 2 actually had schedules, relationships and their own paths. In previous open world games, such characters would normally spawn only when your playable character gets nearer to them. In RDR 2, the AI had their own lives and went about doing their thing whether you were with them or not. The characters also reacted differently to different situations and some even had different personalities from submissive to overtly aggressive. There really shouldn’t be any doubt as to whether Rockstar games will be implementing a similar or better world for GTA VI. We could state as a fact that they would do it. They already have the technology. All they have to do is refine it and push its limits to give us an even more realistic world to play in. 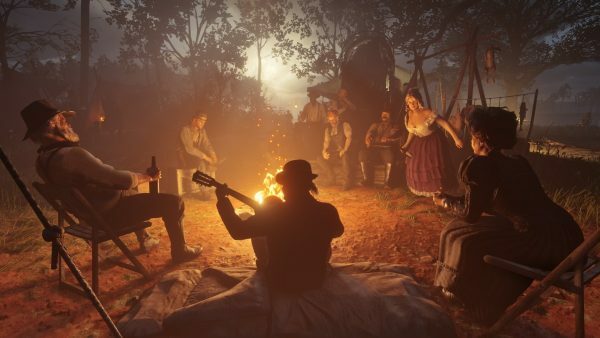 You can also interact with every character in RDR 2 and the direction of your conversation can change depending on the dialogues you choose. These conversations also affect the nature of your relationship with the AI, making it feel more realistic than the generic dialogues we are used to hearing from past games. You also had the option to greet people differently. This would definitely work great in GTA VI as player-AI interaction is one of the most popular aspects of the franchise. Can you imagine the possibilities and the sheer number of unique interactions if Rockstar games implemented this into GTA? One of the most amazing things about the GTA franchise is the level of realism they provide for us players. With RDR 2 they took realism to the next level by really honing in on the realism factor. They focused on the tiniest details such as footprints actually staying on the ground rather than disappearing instantly, hair and beards growing over time and many more. The progression of time is something that most open world games strive to achieve, but it’s a delicate balance. If you make it way too real where an hour in game is close to an actual hour, then people will get bored. If the progression of time is too fast, then you lose out on the immersion. An actual living, breathing world that dynamically changes based on the interactions and actions of the people living in it is one of the premier goals of any big gaming company. There’s a real good possibility that we might get the closest version of that in GTA VI. According to various rumors and speculations, GTA VI would hit stores by either 2020 or 2021. Red Dead Redemption is still very much alive in the market today, so it’s safe to assume that we will get an official statement about GTA VI only by the end of this year or early next year. If you take into account the traditional timelines for the production of similar sized games, it’s safe to say that we might see this game get released in 2, 3 years’ time. The longest gap we have seen between GTA titles was between GTA IV and V which had an unprecedented gap of approximately 47 months or 4 1/2 years. If the official announcement comes in early 2019, we can hope for a 2020 or 21 release. 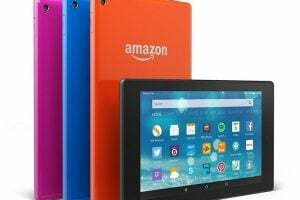 We will be constantly updating this article as new rumors, leaks and more information breaks. 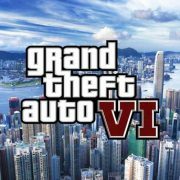 Keep track of us to get the latest updates on GTA VI. 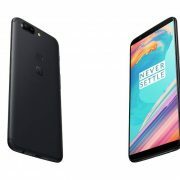 OnePlus 6 New Offers and Discounts – What’s There To Know?